Venture out of the city with trips to Hoover Dam (in Boulder City) and Valley of Fire State Park (in Overton). 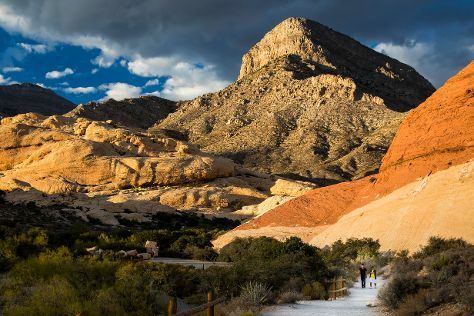 There's lots more to do: take in breathtaking views at Red Rock Canyon National Conservation Area, enjoy breathtaking views from Eiffel Tower Experience at Paris Las Vegas, ponder the design of Bellagio Fountains, and shop like a local with The Strip. For more things to do, reviews, traveler tips, and tourist information, go to the Las Vegas trip planner . In May, daily temperatures in Las Vegas can reach 87°F, while at night they dip to 64°F. Wrap up your sightseeing on the 14th (Mon) early enough to travel back home.